iPhone 5 will be available in South Korea from today, Friday, December 7 and on Friday, December 14 in Albania, Antigua and Barbuda, Armenia, Bahamas, Bahrain, Bolivia, Brazil, Chile, China, Costa Rica, Cyprus, Ecuador, Grenada, Indonesia, Israel, Jamaica, Jordan, Kuwait, Macedonia, Malaysia, Moldova, Montenegro, Panama, Paraguay, Philippines, Qatar, Russia, Saudi Arabia, South Africa, Taiwan, Turkey, United Arab Emirates and Venezuela. 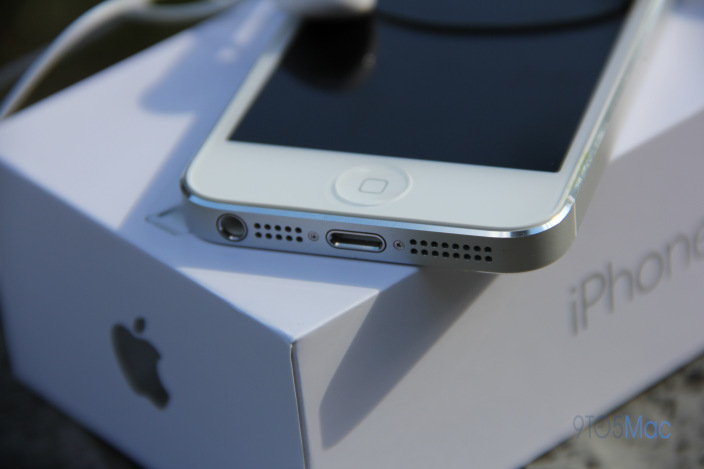 iPhone 5 will also be available on Friday, December 21 in Barbados, Botswana, Cameroon, Central African Republic, Egypt, Guinea, Ivory Coast, Kenya, Madagascar, Mali, Mauritius, Morocco, Niger, Senegal, St. Kitts, St. Lucia, St.Vincent & the Grenadines, Tunisia, Uganda and Vietnam. Currently available in 47 countries around the world including the US, Australia, Canada, France, Germany, Hong Kong, Japan and the UK, iPhone 5 comes with over 200 new features including Shared Photo Streams, Facebook integration, all-new Maps app, Passbook organization and even more Siri features and languages.